For the older individuals in your life, whether they’re your parents, family or close friends, it’s important to recognize their contributions to our nation and our way of life. Because of their trailblazing attitude and efforts, the U.S. Department of Health and Human Services’ Administration for Community Living has deemed May to be Older Americans Month. 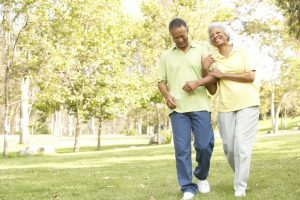 Be healthful: Because the theme for Older Americans Month 2016 is “Blaze a Trail,” it’s wise to help your older loved ones make an impact longer and healthier. Encourage them to be active with low impact exercises such as walking, Tai Chi, yoga or swimming. Even hobbies like gardening can help older individuals stay active longer. Be engaged: One in four older Americans make a positive impact by engaging in volunteer activities. If the older people in your life are looking for ways to engage with their community on a social and civic level, encourage them to try volunteering with an area election commission or non-profit organization. Be creative: Chronicling the wisdom of older Americans is a great way to improve upon our futures, so help your loved ones be a little more creative and put their experiences on paper or on a computer. This can be through painting, journaling, poetry, or song lyrics, and don’t just let them do it on their own. Lend a helping hand and be creative yourself – you may inspire them to blaze another trail all on their own. By engaging with the older men and women in our lives, we can become much more aware of the issues they face every day. Preserving everything they have to offer is also important for our future generations to learn and grow, something our senior caregivers know very well. The caregivers at FirstLight Home Care are available to help with activities and to drive enhanced quality of life for the seniors that we work with. To learn more about how our culture of care helps blaze trails for our clients, contact your local FirstLight Home Care today to learn more.